Toll Free 1-888-661-8024 Look What's New! 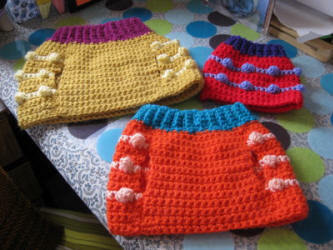 Each one is lovingly designed and crocheted by Melissa Langer. View the Sweater Vest , Woofie Warmer , Barkclava Dog Hat & FUNdana Galleries to see the possibilities! Would you like to be notified when something is new?